The mind of Edmund Burke has attracted the attention of countless political theorists, historians, and biographers. Nonetheless, one aspect of Burke's thinking has been neglected: his perspective on international relations. 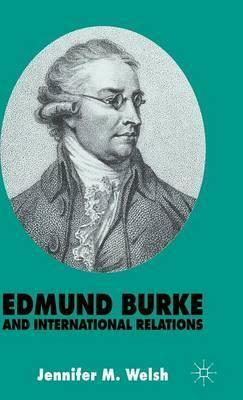 This book seeks to address that gap, by analysing Burke's reaction to the international events of his century. The book argues that the tension between Burke's constitutionalism and crusading is ultimately reconciled by his broader conception of international legitimacy and order. It is only by widening the definition of international theory to include domestic as well as international politics that one can resolve this tension in Burke's theory and arrive at a richer understanding of the nature of international order, both historically and today. Illustrations note XII, 247 p.